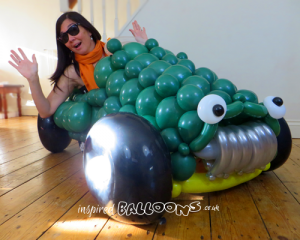 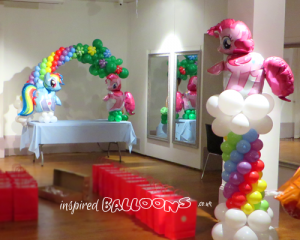 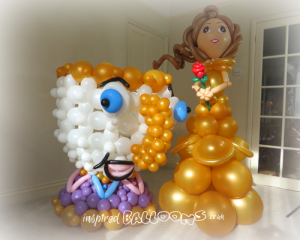 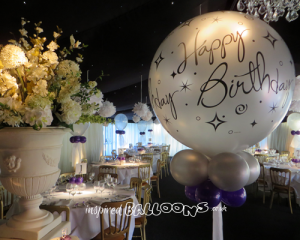 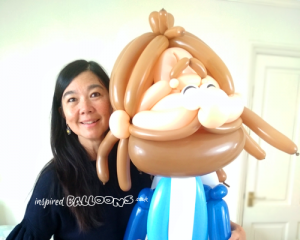 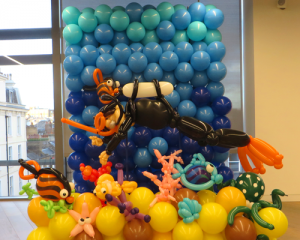 Our imaginative balloon decor service brings splendour to any party or corporate event. 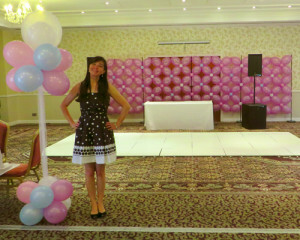 Based in Hemel Hempstead, we are ideally placed for events based in Hertfordshire, London, Bedfordshire, and Buckinghamshire. 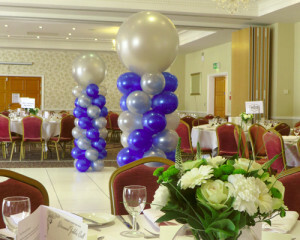 These can be assembled off site and set up quickly at your venue. 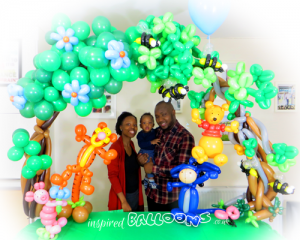 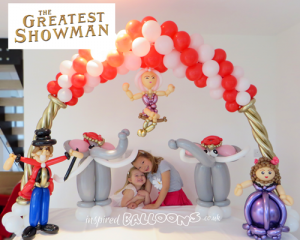 Customised, themed table arches make a great focus and place for the birthday cake and also a fun photo frame for your party memories. 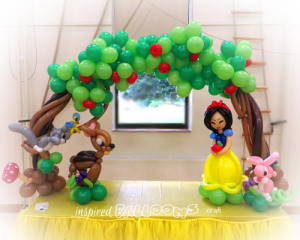 Prices start at £90 for traditional table arches, £130 for organic arches and £145 for themed arches. 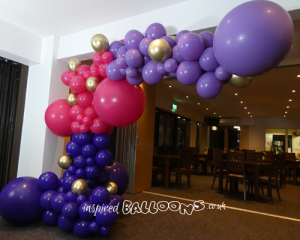 Spiral air-filled balloon arches make a fabulous impact and can be created with a simple spiral of colours or themed to compliment your event. 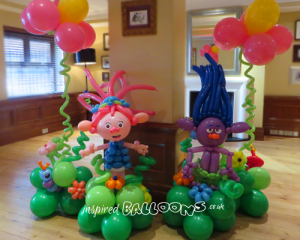 Prices start from £175. 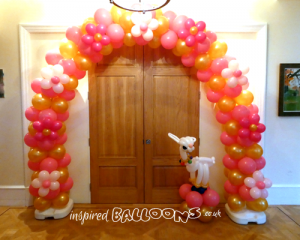 Helium filled string arches can be quickly set up to form a welcoming entrance. 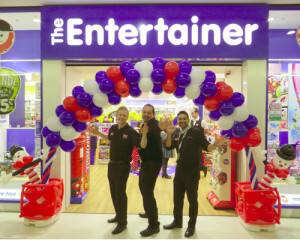 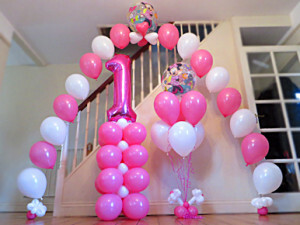 Typical price for 16 helium-filled balloon arch, suitable for double doors, £48. 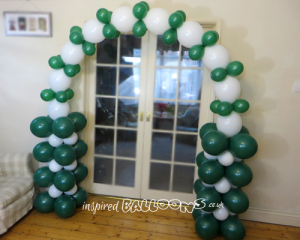 Linking arches, suitable for single or double doors, require no frame and make a great impact. 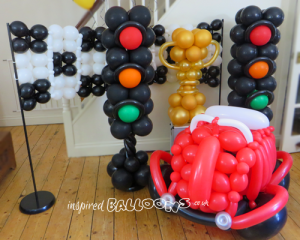 Prices start from just £100. 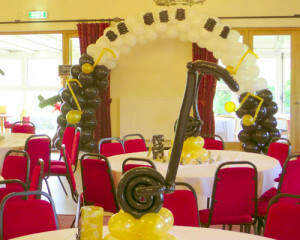 Sculptures are customised to suit your event. 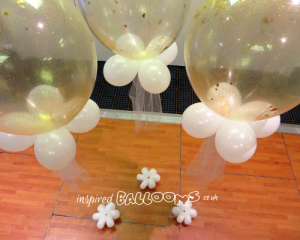 Balloony bouquet weights add a special touch to your table decor and start at £2 for a balloon daisy. 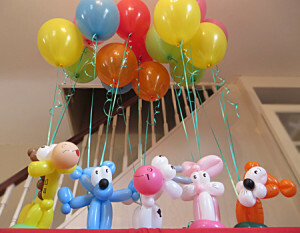 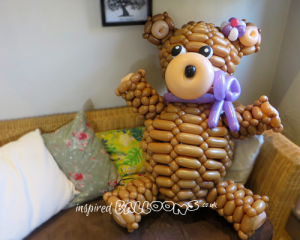 A small balloon animal weight tied to a three balloon bouquet is just £10 – see above.